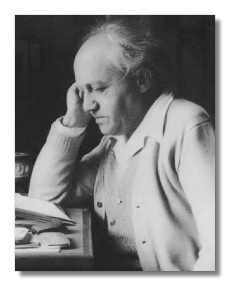 Ernest Bloch was born in Switzerland and died at Agate Beach, Oregon. His work divides into four main periods. In the earliest, he falls under the influence of Richard Strauss and Modest Mussorgsky, an odd combination, to say the least. The works of this period – like the Symphony in C Sharp minor and the tone poem Printemps-Hiver – impress you as trying to find their way. They have not absorbed their influences; the joins show. 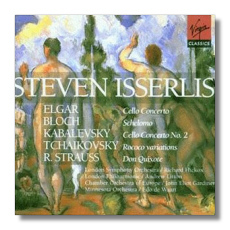 Later, Bloch exchanges Strauss for Claude Debussy and strengthens the Mussorgsky ties. This results in his opera Macbeth, considered by many as the finest operatic version of a Shakespearean tragedy. The ties to Mussorgsky's Boris Godunov are apparent, but Bloch has made Mussorgsky's devices (irregular metrical shifts, odd chord progressions and cadences) his own. In the second, so-called "Jewish," period, Bloch takes up specific Jewish subject matter (although not musical matter) and writes the one work by which he is still remembered: Schelomo, a rhapsody for cello and orchestra based on the figure of Solomon and the book of Ecclesiastes. During this time, he also produces psalm settings for tenor and orchestra, the Trois Poèmes juifs, and the suite Baal Shem for violin and piano. Here, Bloch single-handedly creates a manner all his own – epic, passionate, powerful – with obvious reminiscences of cantorial melos. Once he finds this, for the most part, the specific Jewish references become objectified, submerged, or turned to other expressive uses. He will return to Jewish material for inspiration, but he no longer writes specifically "Jewish" music. Indeed, many of his works seen as Jewish actually have their origins in his imaginative vision of Asian and Pacific jungles. About this time, in the mid-1920s, with several significant works behind him, Bloch decided to re-learn counterpoint. J. S. Bach and Palestrina become profound new influences. Yet, Bloch's neo-classicism (in works like the Concerto Grosso No. 1, Piano Quintet No. 1, and the Sacred Service) sounds like nobody else's. The strong, epic quality is still there, but construction just got tighter. It really impresses a listener as a desire to get the most expressive punch out of every musical line. During World War II, Bloch became too depressed to compose, but the end of the war released a flood of new work, tending to the abstract, and emphasizing chamber music and chamber combinations. Bach continues as an influence, but so does late Beethoven, particularly in Bloch's string quartets 2-5. 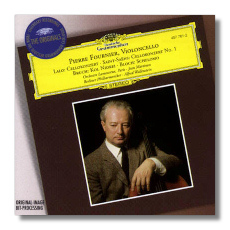 He began to experiment with serialism, although again his musical soul remained his own. Bloch is out of critical favor right now, along with an entire generation of twentieth-century composers like Artur Honegger, Darius Milhaud, and Ralph Vaughan Williams. He takes big breaths, like Whitman, in a time which prefers the ironic, the distant, and the understated, but he has both intellect and passion.